You'll be able to get a Wii for Christmas, if you want. Earlier it seemed as though the Wii was about to go gently into that good night, but it seems rumors of its death were premature. At least, it's not dead in the US; not yet. The announcement mentioned by Kotaku only referred to Japan, according to Nintendo of America. "There is no change in the status of Wii in the United States," a spokesman told GameSpot, "and it is available for purchase this holiday season." That might be good news for Wii fans, but it's odd news coming from Nintendo. The Wii U significantly underperformed at launch, and had to cut its sales estimates from 5.5 million units to 4 million units shortly after Christmas 2012. At launch and in the six months up to December 2012, Wii sales outperformed Wii U sales in the Americas by more than half a million units. That Christmas, the Wii U didn't have to compete against two new consoles from Sony and Microsoft; now it does, and it's competing for sales in the US against the Wii too? You have to wonder what that's going to do to its targets. The Wii U does have a strong holiday game line-up, and it's hoping for big things this Christmas. "We think it's pretty simple," Reggie Fils-Aime said a short while back. "As long as we focus on getting our great first-party content out there, we believe the hardware sales will follow." 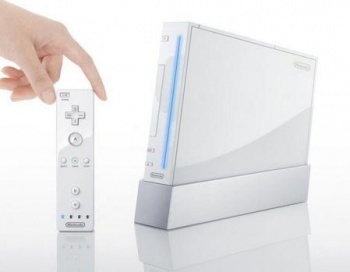 Here's hoping a Wii-shaped iceberg isn't about to scupper Nintendo's Wii U plans.